The FDA recently approved immunotherapy drug Tecentriq (atezolizumab) for certain bladder and non-small cell lung cancers, raising hopes for a mesothelioma-specific clinical trial in 2017. Tecentriq, a product of Genentech Oncology, is following the path of Keytruda (pembrolizumab) and Opdivo (nivolumab) as drugs that target a specific protein blocking a body’s immune system from attacking cancer cells. The U.S. Food and Drug Administration sanctioned Keytruda and Opdivo earlier for non-small cell lung cancer, and those drugs are working their way through the clinical trial process for the treatment of mesothelioma. Mesothelioma patients already are using both drugs sporadically and successfully through the FDA’s Patient Access or Compassionate Use programs. Most medical specialists agree these immunotherapy drugs have the potential to change the current standard-of-care regimen used for mesothelioma and many other cancers today. All three of these drugs target the PD-L1 or PD-1 proteins that prevent the immune system from destroying the cancers. These proteins are expressed typically in about half of mesothelioma patients diagnosed. The rates vary within different cancers. The FDA in May approved Tecentriq to treat urothelial carcinoma, the most common type of bladder cancer. Tecentriq became the first PD-L1 inhibitor approved for this type of cancer. In October, the FDA gave Tecentriq the green light for the treatment of patients with metastatic non-small cell lung cancer whose disease stopped responding to chemotherapy. Two international clinical trials are credited for that approval. 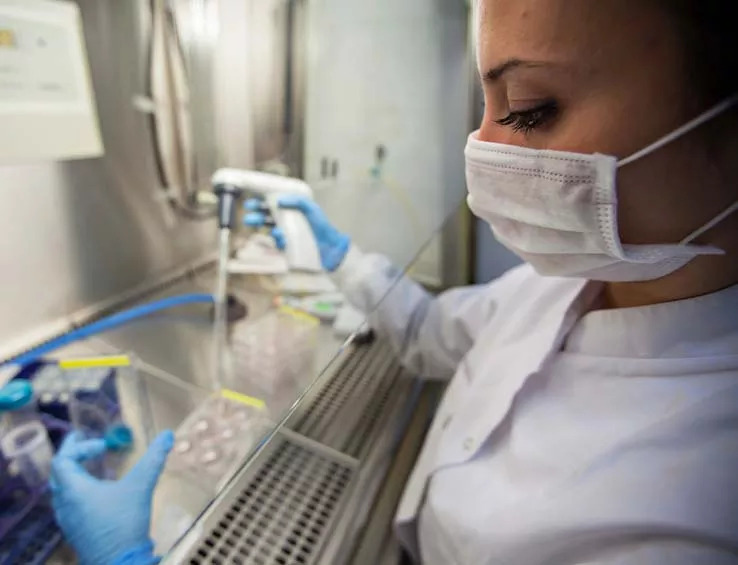 Researchers have tested Tecentriq on a limited basis, but with good success, for mesothelioma as part of an ongoing international trial of solid tumors that included a small subset of patients with prostate and pleural mesothelioma cancers. Mesothelioma is an aggressive and rare cancer. Doctors diagnose about 3,000 cases annually — making research studies difficult to fund and complete. By comparison, lung cancer is diagnosed in 220,000 people annually in the U.S. The asbestos-related cancer is incurable and the typical life expectancy is less than 18 months. The standard of care includes a combination of chemotherapy, radiation and surgery, although less than one-third of patients are serious surgical candidates. Too often, the disease has metastasized before it is diagnosed, leaving patients with few options. Immunotherapy drugs, if they are FDA approved, could change that significantly. et free help finding and enrolling in a mesothelioma clinical trial today! Mesothelioma specialists often piggyback on lung cancer research, which is happening with Keytruda, Opdivo and now Tecentriq. The two lung cancer trials that led to the FDA’s approval of Tecentriq compared its use to chemotherapy. Tecentriq resulted in improvements of 4.2 and 2.9 months in overall survival, respectively. A total of 1,137 patients participated in the trials. Participants were given a 60-minute IV dose of Tecentriq every three weeks. Fatigue, decreased appetite and nausea were the most common adverse reactions to the drug. They were considerably less serious than those side effects from typical chemotherapy. In both trials involving bladder cancer and lung cancer, patients with higher levels of PD-L1 expression were more likely to respond positively to the drug. The results added to the belief that a subset of mesothelioma patients could be helped considerably by Tecentriq. ClinicalTrials.gov. (2016, November 1). An Open-Label Study of Atezolizumab in Advanced Solid Tumors. U.S. Food and Drug Administration. (2016, October 19). Atezolizumab (TECENTRIQ).